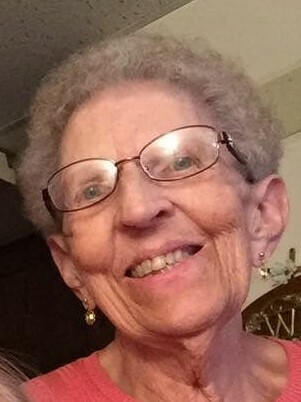 Alice R. Fritz, 81, formerly of Kempton and Allentown, PA, passed away on April 12, 2019, in Mobile, Alabama where she lived the last part of her life with her beloved son, Jeff, her daughter-in-law, Pamela, and the apple of her eye, her granddaughter, Nevaeh. After courageously battling numerous health conditions over the past few years, Alice took her last breaths covered in a quilt made by her mother, and with Jeff and Pamela by her side. She was the wife of the late Edgar Fritz. Alice was born in Kempton, PA. a daughter to the late George W. and Annie B. (Bailey) Correll. She was employed in food services, last working for Hampton Inn, Allentown, PA. She was a member of the U.C.C. congregation at Cedar Church in Allentown, PA. Alice will be remembered for her laughter, how she loved her family and friends, and the way she fully embraced life despite the challenges. She will be deeply missed by Jeff, Pamela, Nevaeh; her sister, Eva F. Miller, Hamburg, PA.; grandchildren, great-grandchildren, cousins, nieces, nephews, and her many friends. In addition to her husband and parents, Alice was preceded in death by two sisters, Edna L. Klingaman and Ida C. Wechsler. Her Funeral service will be held on Thursday, April 18, 2019 at 11:00 AM. in the Robert S. Nester Funeral Home, 8405 Kings Highway New Tripoli, PA 18066, with a calling hour to begin at 10:00 AM. Interment immediately following service in the New Bethel Cemetery, Kempton, PA. Pastor Candi Cain-Borgman to officiate. For those who prefer, in lieu of flowers, to honor Alice’s memory, contributions may be made to the American Cancer Society sent to the funeral home address above. May we honor Alice's legacy by remembering to live, love, and laugh. Peace be with you, our beloved Alice.